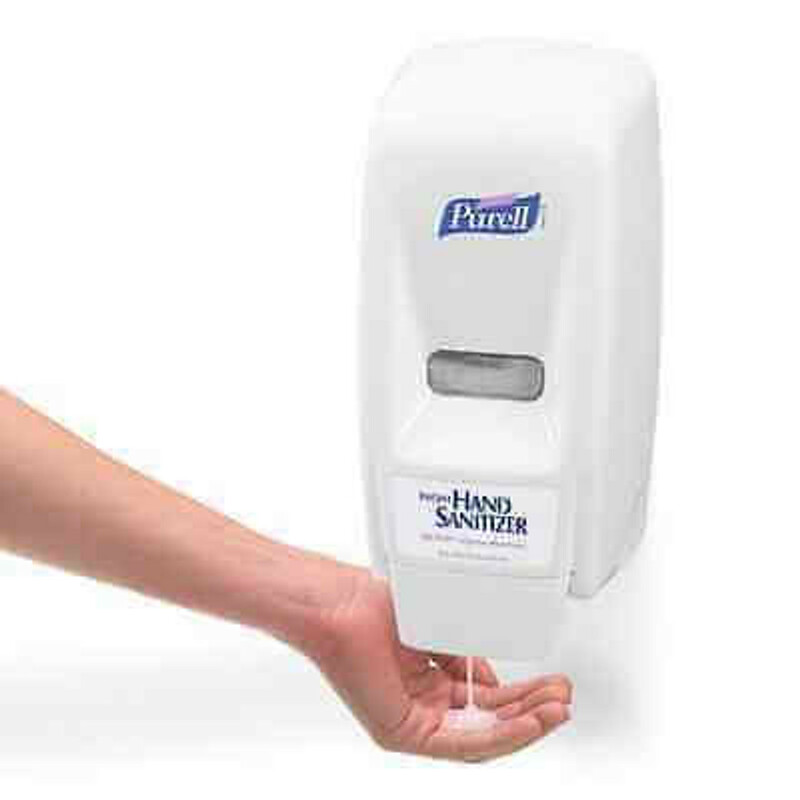 We offer the best hand sanitizer products for affordable prices so you can provide your organization with clean, healthy and hygienic supplies. 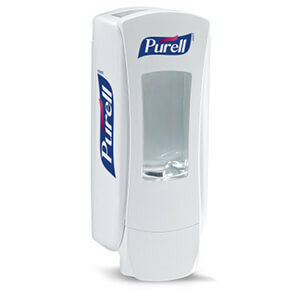 Look for Purell NXT space saver and instant hand sanitizer dispensers as well as refill bags and bottles. 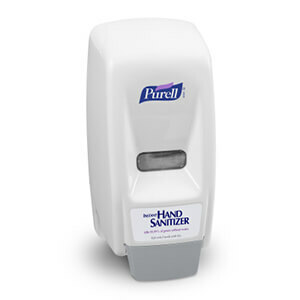 Purell hand sanitizer kills 99.99% of germs, making it a must-have item for your business. Buy the dispensers that fit your space and NXT refills in bulk online. This kills germs with greater than 99.9% effectiveness. It does not affect the skin, it is made of alcohol, works within 15 seconds and doesn’t require you to have towel or water. It is enriched with four different agents that improves health of the skin. It is also fragrance free. This is suitable for areas with high traffic. It is slim but of high capacity, it has a sight window that helps in monitoring the product, easy to convert to a locked dispenser, Compliant with ADA for walkways protrusion and guarantees a lifetime durability. 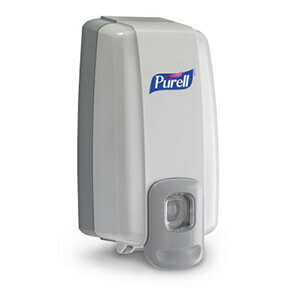 d) Purell ADX-12 hand sanitizer dispenser, with capacity of 1200 ml, white in color. This is also ideal in areas with high traffic. It is has a high capacity and slim design with a window where its products can be monitored. It is ADA compliant for protrusion on the walkways and also easy to convert to a locked dispenser. It is white in color and also guarantees you a lifetime durability. a) Purell NXT dispenser of hand sanitizer, Space Saver, with a capacity of 1000ml and Gel Refills (with 4 refills) (GOJ 2156-04). of the product. It is fragrance free. This also kills germs with greater than 99.9% effectiveness. It is alcohol based, kills germs within 15 seconds and doesn’t need water or towel. It is enhanced with four different conditioning agents that maintains the skin’s health. It is scent free and packaged with 8 refills. This operates in a one hand push and has a compact design for space saving. It is compliant with the ADA push and depth. It has a lifetime guarantee and gray in color. This kills germs with more than 99.9% effectiveness while it is gentle on the skin. It is made of alcohol, works within 15 seconds and doesn’t require towel or water. It has four different agents for skin conditioning and this helps in maintaining the health of the skin. It exceeds the FDA hand-wash requirement by 2 ml of its products. It kill germs with more than 99.9% effectiveness. It is alcohol based, works within 15 seconds and doesn’t require water or towel. It is enhanced with four different agents for skin conditioning that helps in maintaining health of the skin. It exceeds the FDA hand-wash requirement by 2ml of its product. It is fragrance free. This is a fragrance free hand sanitizer that kill germs with greater than 99.9 % effectiveness. It is alcohol based, works within 15 seconds and doesn’t need water or towel. It is enhanced with four agents that maintains the skin health. It exceeds the FDA hand-wash requirements by 2ml of its products.